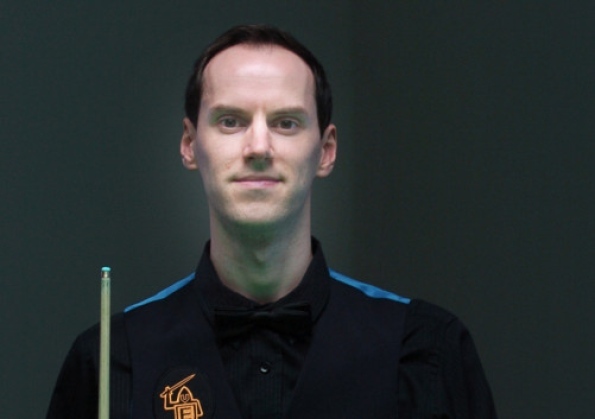 CROSTON snooker star ace Ian Burns is heading for China next month as his progress as a professional player gathers pace. He booked his place at the Haikou World Open by winning four qualifying games in Sheffield. It’s part of a decent run of form for Burns who is at No.69 in the latest world rankings. He reached the quarter finals of the Scottish Open before Christmas. And since booking his place at Haikou, Burns got to the last 16 of the Munich Open. The 27-year-old only turned professional last May after playing for a number of years on the local amateur circuit. "It’s been a busy time recently,” Burns told the Evening Post. "At the moment I‘m just waiting to sort out the paperwork for the visa I need to go to China. "The qualifiers for the Haikou World Open were held in Sheffield. "You had to win four games to qualify and thankfully I managed to do that. "I got a walkover in the first round because my opponent was ill.
"Then I beat James Wattana 5-2 in the second round and Ben Woollaston 5-0 in the third. "I had quite a few big breaks in those games which was pleasing. "The fourth game was against Fergal O’Brien and I managed to win 5-4. "With the score 4-4, it went right down to the last pink and black in the last frame. "Things got a little bit nervy but I managed to pot the pink which won it for me. "That took me through to Haikou which is being played at the end of February. Burns had been hoping to make it a Chinese double by qualifying for the China Open. But he bowed out to Jack Lisowski in the third qualifying round. The Haikou World Open qualifiers came hot on the heels of a good performance at the Scottish Open in Ravenscraig. "I won four games in Scotland and then got beaten by the eventual winner Ding Junhui in the quarter-finals,” said Burns. "I beat Justin Astley 4-0, then had 4-2 wins against Alfie Burden, Marcus Campbell and Liang Denbo. "Ding Junhui then beat me 4-1 in the last eight, and he went on to win 4-2 against Anthony McGill in the final. "That was good preparation for the Haikou qualifiers and served me well. "It was nice to hit a bit of form and I’m pleased with how things are going. "Over Christmas I had a few days off, just played an hour here and there. The first tournament of 2013 was the Munich Open which formed the sixth stage of the Players Tour Championship. He reached the last 16 after a 4-1 win over Thepchaiga Un-Nooh, before losing to eventual runner-up Graeme Dott 4-3. Next up for Burns are the Sheffield qualifiers for the Welsh Open next month. He starts against Jack Lisowski, with him needing to win two games to reach the finals in Newport.